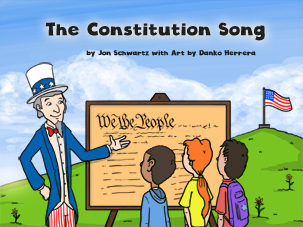 Learn about the United States Constitution with this illustrated book version of song. An amazing blend of history and art. This book isn't available for buying yet. But we are working on it.